A villa in Portugal is a thing of beauty. A villa in Portugal with a private pool is the best thing since sliced bread! To help you choose the villa of your dreams, we’ve hand-selected 6 of the best villas in Portugal with private pools, great views and excellent amenities. The best bit? They’re all there for the booking! This stunning villa set in the gorgeous countryside of Tróia is ideal for big group holidays. Sleeping up to 15 people and with a location close to both the beach and a golfing green, you can rest assured that you’ll not want to leave when it comes to home time! This wonderful villa situated in the beautiful Algarve countryside sleeps 6 and offers incredible panoramic views from its lovely private pool. Better still, bars and restaurants are close by and the villa also boasts some great reviews too! All in all, if you’re looking for a villa in Portugal with a private pool, you can’t go far wrong with this one. 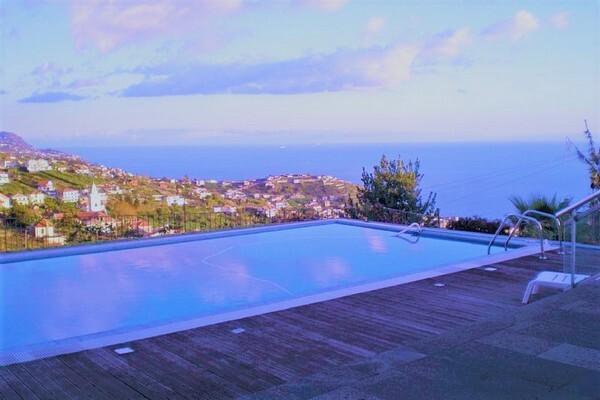 This sensational villa in Madeira is one of the best examples in Portugal of a stunning private pool. Boasting incredible mountain and sea views, this infinity pool is also heated, adding that extra bit of luxury and enjoyment. Beyond the wonderful pool though, this stylish villa which sleeps 8 is also located ideally, with spas, golfing greens and eateries all close by. You’re welcome! 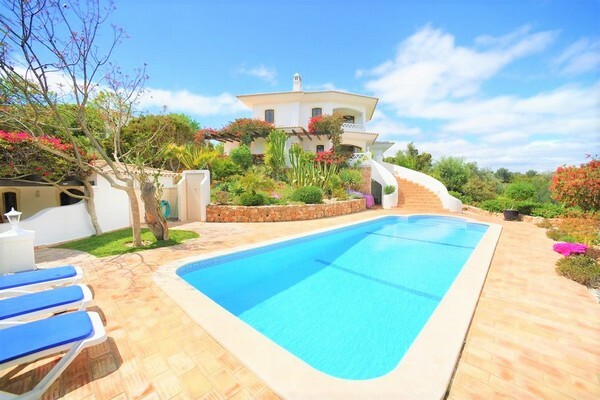 This pretty villa situated in Álamos sleeps 6 and has a beautiful curved pool that’s ideal for basking in on those hot Portugal days! With excellent 5-star reviews and a location close to a wide range of amenities and attractions you’d be hard pushed to find a better deal in lovely Portugal. This jaw-dropping villa in Madeira flaunts an incredible infinity pool that allows for a great view of both the mountains and the sea. Sleeping 10 people and with a lovely garden and balcony to relax on, this 5-star reviewed villa is close to both the beach and various bars and restaurants. This quaint villa in Lagoa which sleeps 6 people not only boasts spectacular sea views and an idyllic garden, but it’s also furnished in a traditional Algarvian style to give you that authentic Portugal experience. Better yet, it’s also situated close to the glorious beach and a golfing green, as well as various amenities, allowing for the perfect relaxing holiday. Want to see more? Take a look at all of our villas in Portugal!